Unique one-piece knit construction means the Propét black-and-white "TravelActiv Knit” featherlight sport casual has no seams to pinch or chafe your foot. 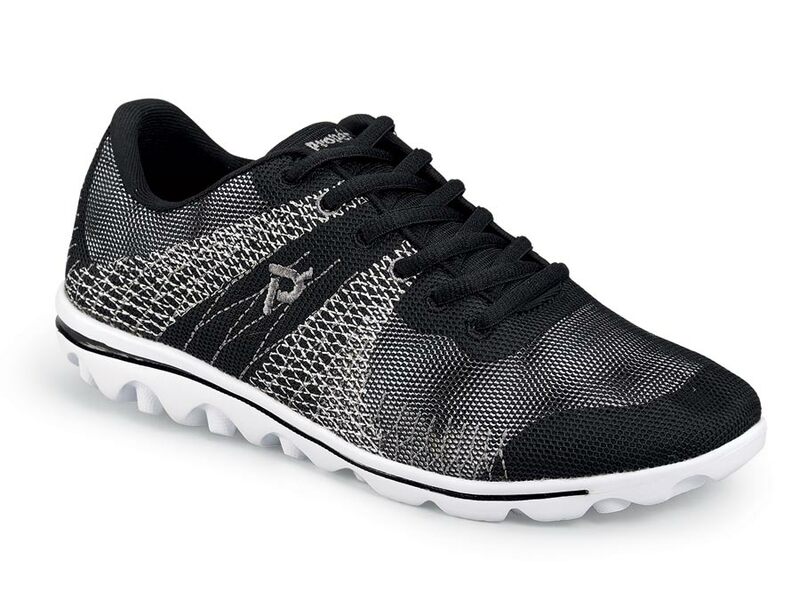 The “3-D” synthetic uppers have distinctive decorative stitching and smoothly cushioned fabric linings. 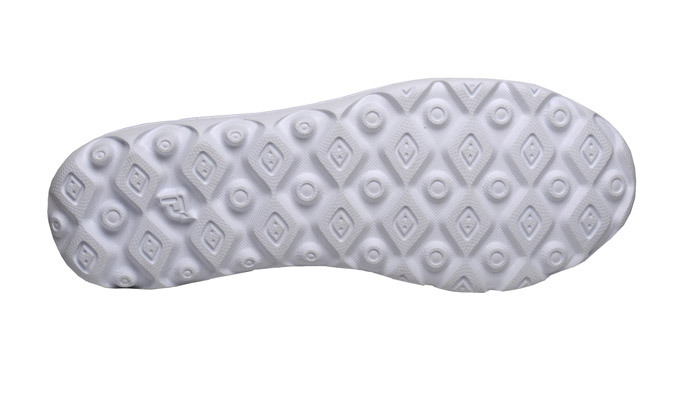 Resilient EVA insole and lightweight TravelTekTM EVA outsole. Limited stock in women’s 2E and 4E in sizes indicated.